This Disney darling wants to join the fun! 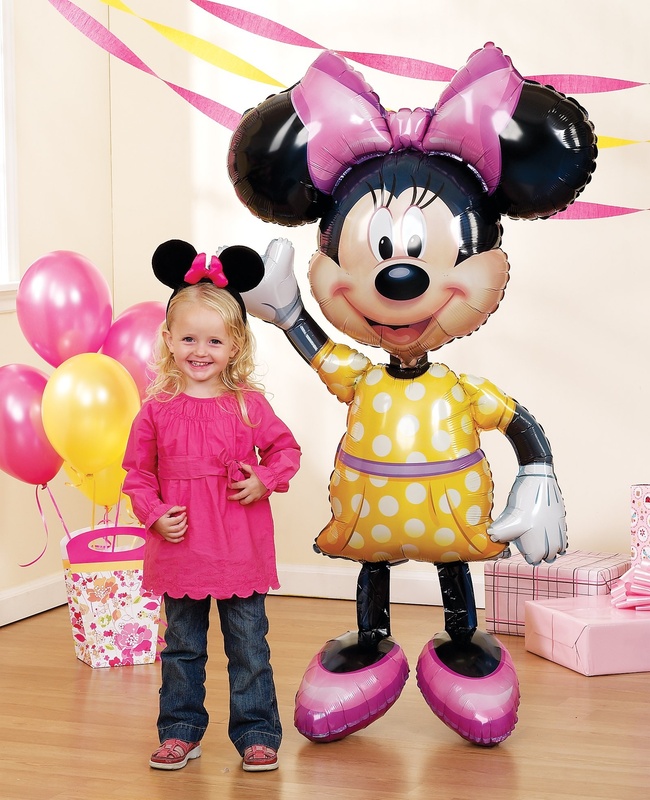 Our two-sided Gliding Minnie Mouse Balloon is life-sized next to some party guests and features the cartoon cutie in a polka dot dress and pink pumps with a big pink bow ribbon between the iconic mouse ears. The feet of this Minnie Mouse Balloon are weighted so that the character "walks" with you as you pull on its string, giving it a lifelike appearance. Gliding Minnie Mouse Balloon is made of durable vinyl and can be refilled with helium (sold separately) any number of times, or deflated after use for storage. Balloon measures 54in tall.